Hip flexor pain can strike at any time, but it’s most common among athletes who bend and kick. Hip joint pain, on the other hand, can stem from a variety of causes, ranging from arthritis to injuries, and require hip pain treatment just to keep you mobile. Get the best hip flexor pain treatment at your Manhattan sports medicine clinic. Treatment for hip pain helps you maintain your active lifestyle. Come see our pain management clinic and meet our hip pain doctor in NYC Dr. Melepura to get the hip pain relief you need in the safe, reassuring hands of the best pain specialists in NYC. Hip pain isn’t something that only older people suffer from, although it is a common complaint among the elderly. A trained hip pain doctor like Dr. Melepura warned that hip pain can strike both inactive and active adults. Hip joint pain can be the result of age-related conditions such as osteoarthritis or due to injuries such as car accidents or falls. Hip pain can be very painful. Visit our hip pain doctor in NYC, a pain treatment specialist, for best in class treatment options. Emergency appointments are available at the Midtown Manhattan doctor’s office. Diseases active in other areas of your body, like those that cause lower back pain, can lead to hip flexor pain. When hip pain is located on the outside of your hips, it’s usually due to problems with ligaments, muscles or tendons. 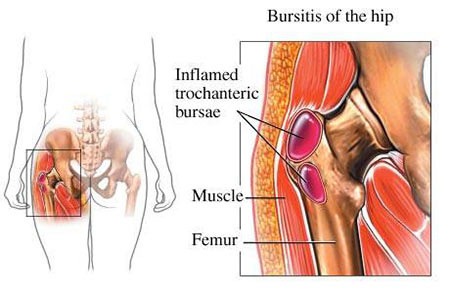 But when the discomfort is in the groin area, you may have hip joint pain emanating from inside the joint. In addition to your description of the pain, your New York hip pain doctor may run tests before deciding on treatment for hip pain that targets you specifically. If you don’t find quick relief at home, seek emergency medical care, consult a physician or hip specialist like Dr. Melepura in NYC to relieve your hip pain and to avoid further complications. Prevention is one of the best hip pain treatment plans you can follow. As you age, you especially need to take precautions to avoid falling. Even if you just bruise the soft tissue within your hip and need hip flexor pain treatment, you may need to rely on a cane or walker at any age while you’re healing to prevent a fall. Do you have any questions about the hip pain treatment we offer in NYC? 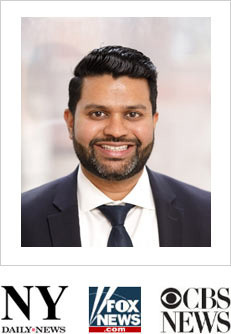 Would you like to schedule an appointment with the best rated hip pain doctor Febin Melepura MD of pain management clinic in New York ? Please contact our pain clinic for consultation with the hip pain specialist in Midtown Manhattan.